Chavant NSP Description: NSP was introduced in 1993. The intention was to eliminate the sulphur filler in a professional grade sculpting clay, which often caused inhibition problems with various liquid rubber mold-making materials. 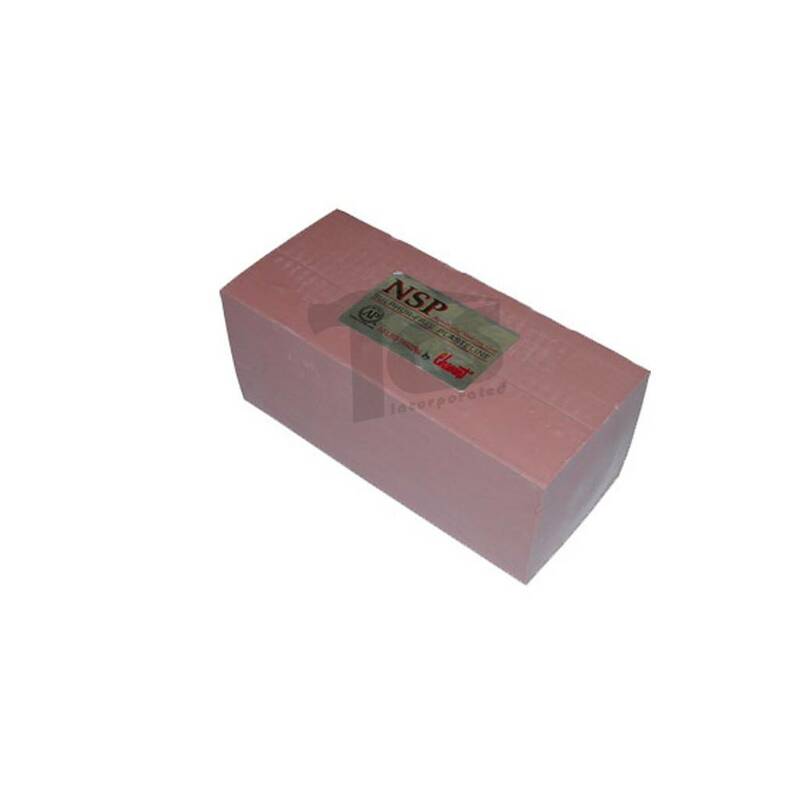 The NSP product line consists of clays that contain higher percentage of wax components making the clays somewhat "tuffer". 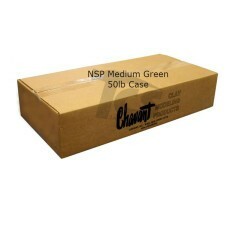 Available in Soft, Medium or Hard (terms only relevant to the NSP product line) these clays have good adhesive qualities, flexibility and length. Because they are "tuffer" NSP tends to accept cut detail lines very cleanly, with no ragged edges. The surface texture of NSP will be somewhat "grabby" when compared to sulphur-based clays and even the NSP - Soft is rather firm by some people's standards. 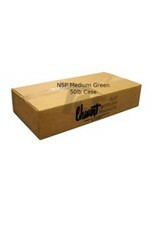 NSP is available in Brown or Gray-Green. 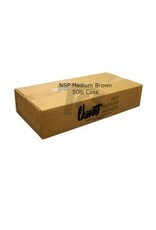 All three grades of NSP - Brown are the same shade of Brown color. The Gray-Green shades are all different. Clients often want to mix clays. Sometimes clients want the mixed clay to be the same color other times they want the color to be different. 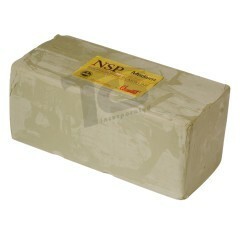 NSP is commonly used by artists for the creation of sculpture and is often used to fill cracks in industrial patterns or to build dams when making splash molds. Product designers who freehand sculpt also use NSP. NSP is subject to surface oxidation. If the clay is in its original package it will have a long shelf life, certainly months and probably years. If the clay is repeatedly heated and cooled, oxidation is accelerated. 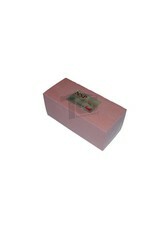 Sometimes this characteristic is beneficial in handling or mold making since the surface can become harder. Clients rarely comment on oxidation. Handling Tips: NSP can be warmed to soften but as it softens it also becomes sticky. Using small amounts of water, citrus-based solvents, lighter fluid, latex paint removers, turpentine or mineral spirits as a lubricant on the surface of the clay will help to attain a smooth surface. Unique Prop's: NSP can actually be melted and poured as a casting, brushed or sprayed. The melting point is approximately 175° F.
Softening point: NSP - Soft is generally used at room temperature. 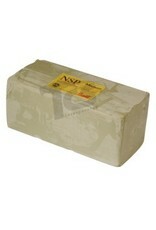 NSP - Medium and Hard are most often warmed to a temperature of 110° F - 120° F to soften it. When it returns to room temperature it also returns to the initial firmness. Working Temp: Room temperature to 105° F.
Cautions: Due to potential oxidation, if a model is expected to sit for months at a time, it may be best to keep it out of direct sunlight and to cover it with a plastic bag to prevent direct contact with air. Wash hands with soap and water after use.